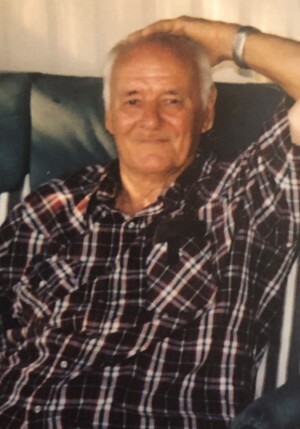 Tommy Thomas Turner – age 90 of Polo, MO passed away Sunday afternoon, April 14th, 2019 at Shirkey Nursing and Rehab in Richmond, MO. Tommy was born on December 2nd, 1928 the son of Emit and Florence (Rogers) Turner in Summerfield, Oklahoma. On September 16th, 1950 he was united in marriage to Icie Lowe in Waldon, Arkansas. Tommy was a union laborer for Archer Daniels Midland in North Kansas City, MO for 42 years. He was a member of the Grain Miller’s Union. He enjoyed yard work and working at ADM. Tommy and Icie lived in Independence, MO for 47 years and Polo, MO for the last 20 years. Mr. Turner was preceded in death by his parents and 6 siblings. Survivors include: wife, Icie of the home; son, Thomas (Sandy) Turner of Polo; son, Jackie Turner of Polo; son, Ricky (Nita) Turner of Independence; daughter, Sherry (Will) Ramey of Raytown; son, Timmy (Bambi) Turner of Independence; sister, Rosalee (Johnny) Lloyd; 5 grandchildren, Fred Martindale (Jeana Bailey), Shana Beebe (Russ McClure), Nikki Poff (Pete Poff), Rebecca Braden (Phillip Braden), Jesse Turner (Bethany Turner); 10 great-grandchildren, Christian Martindale, Harlie Madison, Carolin McClure, Savannah Smith, Albert McClure, Kiptyn Smith, Emery Turner, Augustine Braden, Josie Turner, Finley Turner; several nieces, nephews and other extended family.